The Uluru Statement arose from extensive nationwide dialogues with Indigenous groups on constitutional recognition, followed by a four-day First Nations National Constitutional Convention. The result was a call for the establishment of a First Nations voice enshrined in the Constitution, and a Makarrata Commission to supervise a process of agreement-making between governments and First Nations and truth-telling about our history. That upturned middle digit simply and powerfully captures how many felt about that dismissal. Jon Kudelka has been working as a cartoonist for The Australian since the late 1990s. 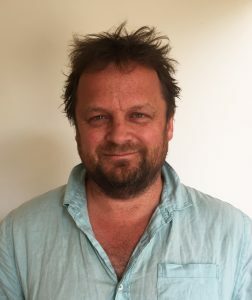 His work also appears in The Hobart Mercury and he has published three books, 101 Uses For A John Howard, Kudelka And First Dog’s Spiritual Journey and Hobart By Kudelka. 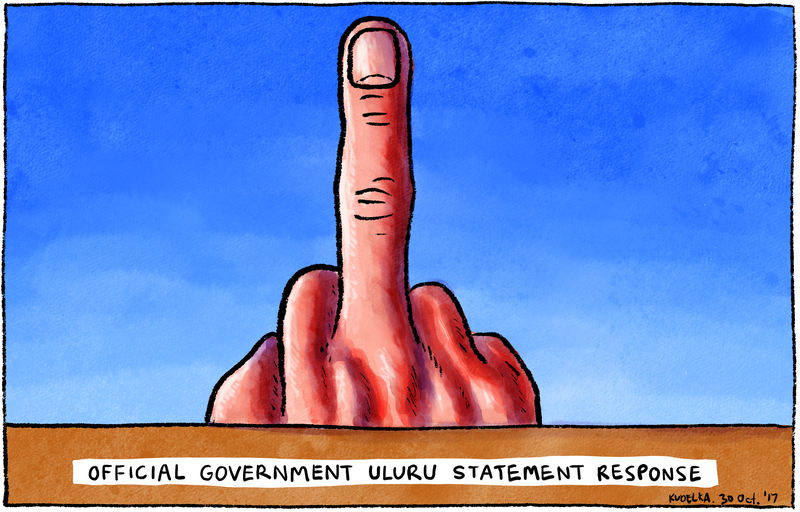 “From The Heart” very simply and powerfully captures how many felt after the Government so quickly dismissed the central recommendation of the Uluru Statement From The Heart. Whether you agree or disagree with the sentiment, Kudelka’s work is an excellent example of what a political cartoon should be. It makes a searing comment in a clever, impactful way.